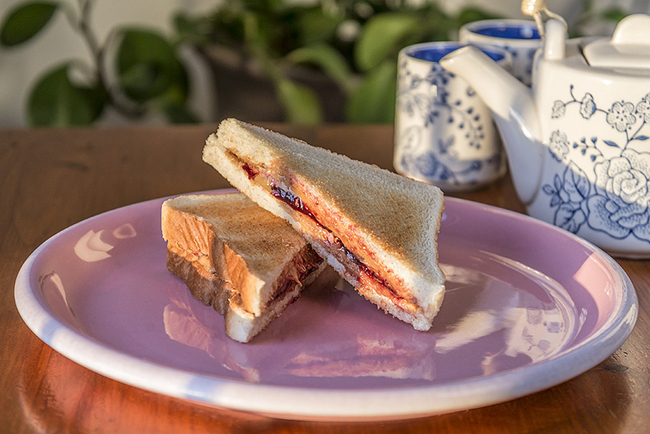 If your brand voice and PPC ad copy don’t go together like peanut butter and jelly, your marketing dollars are going to waste. Image source. Branding and performance are typically seen as being on opposite ends of the marketing spectrum — the PPC specialists run their campaigns while the branding experts concern themselves with more high-level strategy. 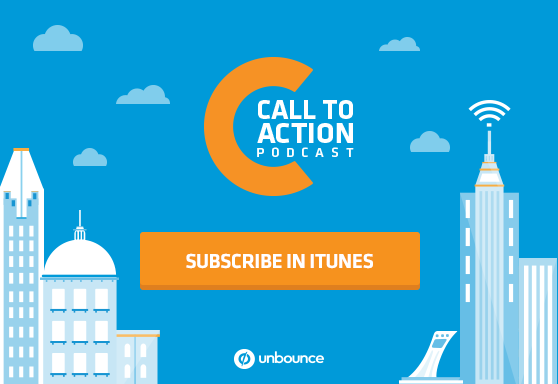 But as Dana DiTomaso, Partner at digital marketing agency Kick Point explains in the latest episode of the Call to Action podcast, if you don’t see how the two relate, you’re likely cheating yourself out of a higher conversion rate. The four elements that every brand voice needs to feel complete. The most important question marketers need to ask themselves before they write a word of PPC ad copy. Tricks for condensing your brand voice into the 70 characters that AdWords allows. Brand-Infused PPC For Better Results by Dana DiTomaso via the Call to Action Conference. Dan: Your talk at the Call to Action Conference last year was about what you call brand-infused PPC. Aren’t branding and performance typically considered to be on opposite sides of the marketing spectrum? Dana: I think traditionally they are. I would disagree with that categorization but we’re often of the mind that the brand and the performance go together hand in hand. And I think a lot of the work that’s happening now with brands is really bringing that together, where people realize that every brand engagement — not just the sales or the marketing or whatever people might see — really does impact that customer experience. And that’s where I think brands are going. Dan: It was a bit of a leading question, because of course your talk is all about how you could bring brand back into the performance conversation. Before we dive a little bit further into that branding stuff, can you tell us how searching for Ford dealerships on Google is the best way to learn what not to do when it comes to aligning your PPC ads with your overall brand messaging? Dana: Yeah, you could do this for any dealership, too. It doesn’t have to be Ford’s — you know, Chevy, GM. The problem is that there’s usually a lot of dealerships in a town and what differentiates them? If you Google them and you see the ads that come up, they’re all saying the same thing. You know, “Great deals on F150” or, “Come check out the new Silverado.” We’re in Alberta so it’s truck country so they all see truck ads. But I imagine in a city, you might see things like the Ford Focus and the Chevy Aveo, that kind of thing. Dan: Not a lot of hybrids out there, I guess. Dana: No, not a lot of hybrids out here. But you see a lot of the same kinds of messaging. Because that’s the messaging that they get from the advertising agency that’s been hired by Ford at large. The individual dealership doesn’t necessarily have the resources to differentiate themselves. But the dealerships that are successful in the long run do take that time to make themselves successful and stand out. And they do put in that effort to have the really cheesy TV ads or the radio ads that you can’t escape from but you know their name and you know what their brand is. Dan: But you’re not seeing that familiar messaging creep into your B2C ads, for some reason. Dana: We don’t see it too often. Occasionally we do. Like there’s a dealership here in town that obviously has put some effort into their PPC. But we’ve seen situations where two dealerships have exactly the same ad copy because they’ve hired the same automotive marketing firm to deliver the messaging for them. And they’re literally recycling the same ad copy for two competing dealerships in the same geography. Dan: Wow. On the other hand, you also looked at Geico ads and their PPC ads, and while of course they didn’t include a talking gecko because we’re still talking about PPC here, they were much more successful from a brand standpoint. Dana: Could you imagine if you could put a talking gecko in a PPC ad? That would be kind of amazing. Dan: Yeah, I think maybe that’s the next generation of PPC. Dana: Yeah, on Google Now, PPC, that’s what it’ll be. But definitely when you – so I did this test at SearchLove Boston earlier last year, and I put up three TV ads from three different car insurance companies. And I put up three PPC ads from the same three car insurance companies. And people, by looking at a still – one still – from the insurance TV ads, they could tell what company it was. By looking at the PPC ads, they really couldn’t tell. Geico did stand out a little bit and a few people did guess the Geico one correctly. But the others were all about lowest rates. And I understand that that’s a big differentiator in the insurance space but you spend all this money on your brand. You’ve got like Flo, for example, with Progressive. She’s their brand spokesperson and she doesn’t come through in half of their messaging. Why is that? Why is that missed opportunity there? Dan: Yeah, and on the one hand it seems like PPC marketers have it tough because they can’t put the talking gecko in the ad because you’re limited in terms of space and in terms of visuals. But at the same time, you say that brand actually makes it easier for PPC marketers to write copy. How so? So instead of approaching it as a, well, “Everyone else is saying this so I guess I should too” or “Everyone else is saying this so I guess I need to find a slightly-different-yet-keyword-relevant term for it,” you can actually stand out a little bit in the PPC and make it interesting. And people are really glazing past the same old, boring ads that everyone else is writing that say nothing, essentially. And it doesn’t take much to stand out in that kind of crowded marketplace. Dan: You suggest that before writing a PPC ad, people need to ask themselves, “Why should anybody click on this ad?” And it may seem obvious, but why is it so important for marketers to gut-check themselves with that question? Dan: You mentioned brand voice earlier. I want to delve into that a little bit. You say that brand voice is made up of four elements: persona, tone, language and purpose. Can you talk about some of the tradeoffs involved in choosing one brand voice over another? Dana: Well, it’s like a personality. Ands so you have a person who has good traits and bad traits. And a lot of people say, “Oh, our brand is friendly.” We’ll put that aside for now because if your brand is rude — and absolutely there are some brands that are rude. For example, I have a great sample. Burger Baron — which is a chain of burger restaurants across Alberta — their Twitter persona is totally offensive but that’s their brand. And just go check out their Twitter; you’ll see what I mean. I kind of respect how gross they are because it means that they’re really standing for something. Dan: Sounds like the Donald Trump of burger brands or something? Dana: Yeah, I think it’s actually the oil field worker of burger brands but it’s the language that they’re choosing to use. And the language they’re choosing speaks to their audience, then, because that’s the language that their audience is using and it makes sense for them. Not everybody is going to get excited about this brand, but it means that the people who do get excited about it get really excited about it. Standing for something means something to your customers. And a lot of brands fall into this trap of “We want to make everybody happy” instead of “We’re only going to make a segment happy.” Think about another example, was that Target, the fake customer service guy who when Target went gender neutral with their toys, he was responding. And Target was kind of like, “Wink-wink, nudge-nudge.” Well, I guess that’s okay. They didn’t explicitly say that they liked it, but they did. And again, that’s a brand that is standing for something and didn’t feel bad about it. It wasn’t like, “Oh, we’re going to change our mind because these people are upset.” So think about how that carries through to your brand voice. How do the decisions that you make about your brand reflect on the brand voice as a person? The brand voice is the extension of your brand when you’re using that voice to speak to people in PPC ads, in television, in social media. Dan: Right, and you talk about how being super clear about your brand voice helps you obtain the right kind of customers or clients. And of course, that can save you a lot of money in the long run. Dana: I think people are more devoted to a brand — more likely to become that customer who recommends that brand everywhere — if they’re able to make that kind of emotional connection. And a brand who stands for nothing and is just trying to make everybody happy all the time means that nobody gets that strong brand connection. They don’t get excited about it. Dan: Maybe can you go into why it’s so important to target the right kind of customer? Because I think that some people think, “Why would we limit ourselves or limit our audience if ultimately, the more customers the better?” Because that’s not always the case, is it? Dana: Yeah, we see that a lot in small businesses in particular, is you get worried and you think, “Oh, no, I have to say yes to everybody or else I’ll never be in business again.” But really, you’re doing yourself a disservice. And we talk about it — especially in B2B sales — as marketing debt. The marketing debt is the time that you spend dealing with bad leads that are ultimately wasted time, money that you’re losing off these people. It’s debt that you’re incurring. When really, you should be spending the time to bring in the kind of clients who are going to be the most excited to work with you or the most fun to work with. Why waste your time with these other people? And it’s trying to convince a client, “There’s plenty of fish in the sea; we’re going to find the right client for you.” And once those right clients start to come in, it really makes a difference for their business. Dan: Yeah, and I think it’s hard to scale that way, too because eventually, those clients or leads that aren’t quite right for you or weren’t quite right from the beginning are going to be a drain on your customer support and on your sales team, and just on your resources in general. Dana: Yeah, it makes it really difficult to grow. And by taking a stand and saying, “Look, this is the kind of customer we’re going to help. This is the kind of customer that you should probably go look at this other product.” I think it’s important to do that or else you’re always trying to chase after those people who are marginally great. And as a result, you don’t necessarily have enough time to spend with the customers who are going to be great right out of the box. Dan: One thing we haven’t really talked about yet is conversion, and where that comes into play, here. You suggest that marketers ask themselves what elements of their brand will ultimately drive sales. Can you paint a picture of how you can take what you’ve established and articulate it about your brand voice, and carry it into you planning pages in a way that converts? Dan: We’ve been thinking a lot about it internally, lately, but I don’t think we’ve talked about it on the podcast yet, no. Dana: Okay. So Carrie Bodine, she spoke at MOZcon I think two years ago. And she does customer journeys and she was fantastic and presented a sample. And really, it’s just figuring out all the different touch points that happen not just in the sales cycle but during the lifetime the customer engages with you, and then where they end up at the end of that customer journey, if there is an endpoint. For a product like yours, for example, a customer could be with you for years but what’s that endpoint that makes them stop working with you, right? Dana: And figuring out how your brand really infuses each step and each touchpoint of that customer lifecycle. And then you can identify points where your brand voice or your brand attributes can make parts of it stronger or weaker, and that can also help figure out that customer journey for you. And in terms of conversion in particular, I mean isn’t it easier to convert customers who are the right kind of customers in the door? I know personally I’ve had phone calls with customers who don’t necessarily have enough budget but their thing sounds really cool, and it’s like, “Well, I’d like to work with you but you don’t have enough money.” And it’s like, “Why are you trying to make this happen?” Just refer to somebody who will be really happy to have this customer instead of fighting to change who you are in order to get a customer who’s only marginally right for you. Dan: That’s a really good point. If you’ve done your job segmenting through your ads and your ad copy, then by the time they get to your landing page, they’re going to be way more qualified. And regardless of even the copy or the images on your page, the conversion rates are going to be higher because you’re already working with a much more qualified sample. Dana: Think about Facebook ads, for example. So besides Kick Point, I am the co-lead of Ladies Learning Code here in Edmonton, which has chapters across Canada. And we run workshops for women to learn how to code. And we do a lot of Facebook ads to try to bring women to our workshops. And there’s a ton of segmentation that happens in those ads. And so for example, if I’m running a workshop on Ruby, I’m going to try to find people who are already interested in programming, right? It would be different than if I said, “Okay, all women in Edmonton between the ages of 18 to 65 plus, period.” Now, that’s not a great segment, right? Dan: And it’s the same thing with click-through rate, isn’t it? Dana: Yes, absolutely. I would much rather see a tiny, tiny impression share and a ridiculous click-through rate. It just makes sense mathematically. Dan: Yeah, although at the same time, you also talk about how click-through rate is in the deal and all, and sometimes a lower CTR actually has payoff down the line. If you could maybe talk a little bit about that, as well? Dana: Yeah, for sure I’d also like to see – and this is particular in AdWords. So when you’re doing social ads, of course you can segment really closely and so you want to get that higher click-through rate. But with AdWords, it’s hard to tell. Sometimes you can match up the different types of phrases that people use with the different types of intent and customer grouping and make a change there. But if you’re advertising on things like Current Search, for example, that’s a lot of searches which are not super segmented. But what I would like to see is you write an ad that’s interesting, maybe it gets a slightly less-than-awesome click-through rate but then your landing page conversion rate is much higher than when you write a generic ad. You get more clicks but you have a really low conversion rate. And that’s where you need to look at both sets of stats, not just the click-through rate in a vacuum. Dan: Right. Yeah, we talk so much about how your landing page reinforces the message of your ad and could be a great support to your ad in terms of conversion and Quality Score and all of that. But it goes the other way around, as well. If your ad does a lot of the heavy lifting in terms of segmenting and qualifying those leads, then your landing page doesn’t have to do quite as much work. Dana: Yeah, and you know, you don’t necessarily want to make your landing pages work too hard, right? I mean it’s that click is really that piece of work and then you’ve got them. And then it should be an easier process instead of the hard sell. Dan: Then it’s just a matter of not screwing it up, which is sometimes easier said than done. Dana: Yeah, please don’t send them to your homepage. Not that anybody listening to this podcast, I hope, sends anybody to their homepage after clicking on a PPC ad but yeah, you never know. Dan: I hope not. Right. All right, well, since we’re data-driven marketers, here, I can’t really let you go without asking: what does brand-focused reporting look like? Dana: So a lot of what we do with brand-focused reporting is really – it isn’t necessarily that monthly report that you get that talks about the number of visits that you got. It’s more looking at it qualitatively and saying, “Is this message aligning with your overall brand message?” And also looking at the quality of the leads that you’re getting in. So if you’re in a B2B business, that means things like lead scoring. It means communicating with the sales team and saying, “How are the leads that are coming, and please use lead scoring stuff in the CRM.” But additionally, ask the team and say, “How are the leads that are coming in? Are they good?” Often we’ll recommend to clients (when we work with clients that have an in-house marketing staff) like — go and hang out in a sales meeting and see how it’s going. And over time, “Is it improving? Are they happier with the quality of leads that they’re getting?” Because this is your job and this is also the salespeople’s job to report back to you. And if you’re a business — let’s say bricks and mortar — look at the in-store conversion rate. Are the number of people walking in the door compared to the number of people buying, is that going up? Does that mean that we’re driving the right kind of people to the store? So if before we started doing this PPC ad to get more people to come to your store, and let’s say the percentage of people who walked into the store and bought is, say, 40 percent, and then after we do these ads now it’s 50 percent, that’s really improved your in-store conversion rate. Dan: I love how it always seems to come down to the fact that this stuff is both an art and a science. That you know, we need to look at our data and trust our data and reap insights from that, but we also need understanding and buy-in across the organization about what our brand stands for, what our brand voice is so we can check that against the numbers. Dana: Yes, absolutely. And I would also recommend, too, if you are interested in reporting, let’s see. At MOZcon 2014, I gave a talk there that was all about reporting. If you look up the MOZcon 2014 video bundle, and I imagine you can include a link in the podcast description as well, my video was the free video that year and I talk about reporting for 45 minutes. I just watched it again last week, actually, just to refresh my memory on some of the topics that I covered in that talk. But if you are struggling with figuring out the right stuff to report on, I would really recommend that talk. It doesn’t talk about brand specifically but you’ll find that a lot of it is applicable. Dan: All right. Well, yeah, we will definitely link to that on our show page as well as of course your talk at Call to Action last year. Thank you so much, Dana, for taking the time to chat. This was great. Dana: Yeah, thanks for having me.